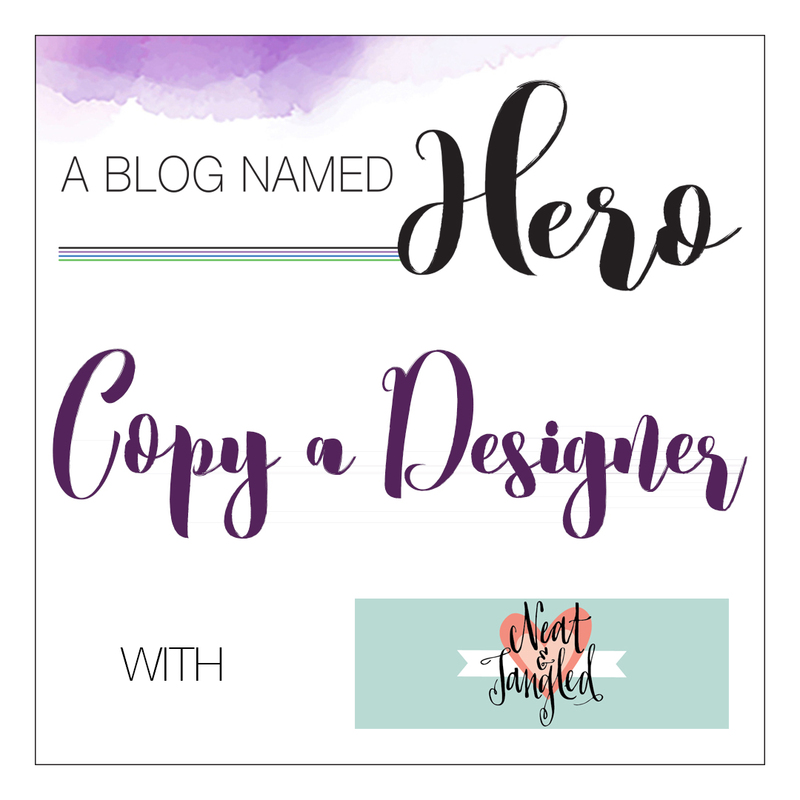 I am here with A Blog Named Hero and we have been collaborating all Month with Neat & Tangled. The challenge this month is to "copy a designer". I was inspired by my Design Team buddy Lisa Stein from her post on January 13, 2017. 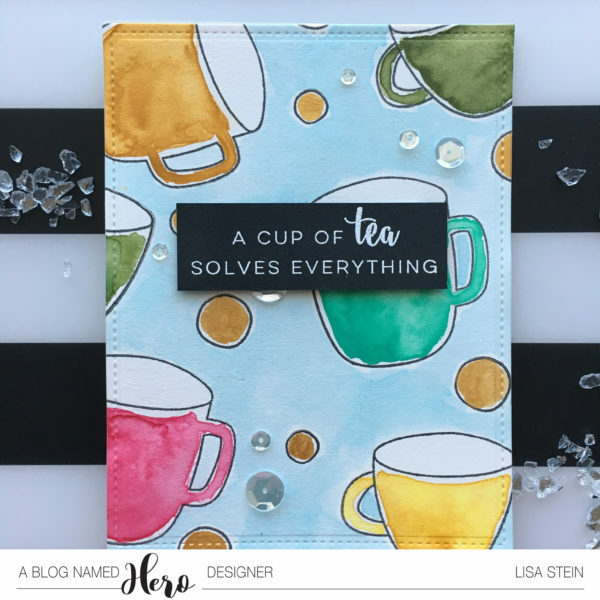 I loved Lisa's card with the coffee cups. If you want to see how she created her card, here is the link. 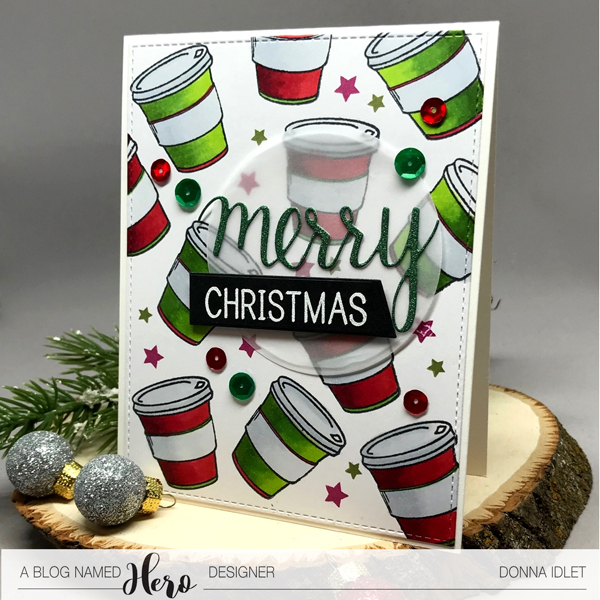 On my card I used the Hero Arts Merry Stamp & Cut stamp set for the sentiment and the stars. I stamped the stars with Hero Arts Inks Forever Green and Raspberry Jam. The coffee mugs are from the stamp set from Neat & Tangled "Perfect Blend". The sequins are Hero Arts Ombre Sequins Blush and the green ones are from Neat and Tangled. I loved creating this card.....thank you Lisa for the inspiration. The coffee mugs I used copics to color. The green is Y03, 17 and 67, the red is R24, 29 and 59. I hope you get a chance to play along with this month’s challenge! 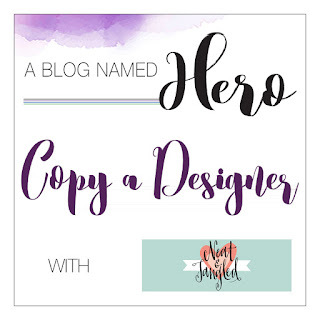 All you need to do is use at least one Hero Arts product on your project and follow this month’s theme, ‘Copy A Designer’. Link up your card for a chance to win a great prize from Neat & Tangled! Can’t wait to see what you create!! I love your rendition of the coffee card design. Yours is so festive with those colors. Is there no end to your talents, Donna? This card is amazing too! I love the sense of hustle and bustle the cups have, almost as if they're dancing on the page. The colouring is wonderful - the cups looks 3D. Super sentiment and perfect embellishments.